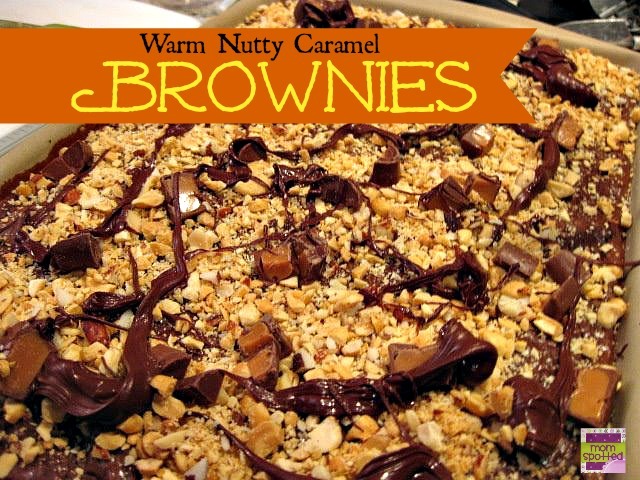 Warm Nutty Caramel BrowniesLet me tell you that these were so good that people were asking to take some home with them! into bar pan, spreading evenly using Small Mix ‘N Scraper(R). wooden pick inserted in center comes out clean. into resealable plastic bag; set aside. remaining 24 caramels evenly into brownie in four rows of six caramels each. chocolate-filled bag; drizzle chocolate evenly over brownies.